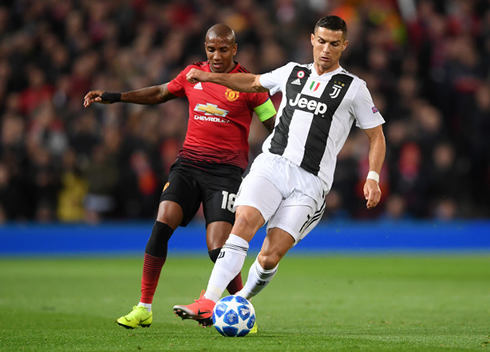 Juventus and Manchester United clashed this Tuesday night at Old Trafford and without much surprise, the Italians grabbed the 3 points in a 1-0 win. The only goal in this game was scored by Paulo Dybala in the first half. 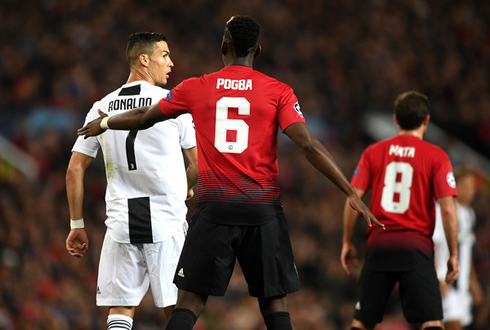 It was a special night the one we lived tonight at Old Trafford, as Juventus visited Manchester United and Cristiano Ronaldo returned to the stage that saw him developping into the player he is today. As expected, the Portuguese superstar was given a warm welcome by Man United fans and even though he didn't score tonight, he helped his side pulling off an important 1-0 victory in this trip to England. Dybala scored the winning goal in the 17th minute of the game and Juventus was strong enough to hold the United back in the remaining time. The Vecchia Signora are on top of the group with 9 points, while Manchester United is second with 4 points and Valencia third with 2 points. 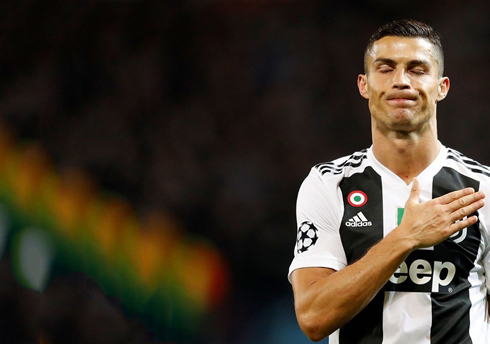 It was an emotional day, a homecoming of sort for Cristiano as his latest team Juventus took on his first home as an international star Manchester United. CR7 was met with rapturous applause by the home crowd, who still maintain a lot of affection for the Portuguese star. Ronaldo gratefully received the adoration, but was quickly down to business as soon as the match kicked off. Juventus put United on the back foot early and it would be only 17 minutes before they would find the back of the net. Back on the right, like he was during his days at United, Ronaldo was able to send a dangerous cross into the box. Juan Cuadrado attacked it first, but after he was put off by the defender, the ball fell to Paulo Dybala who easily slotted home from the 6-yard box. Juve were up 1-0. Ronaldo would come alive as time went on, a nice exchange lead to a good save by De Gea and he troubled the man he put three past this last World Cup with a trademark knuckle shot free-kick. The Spanish goalkeeper however, was able to get his hands behind the shot... 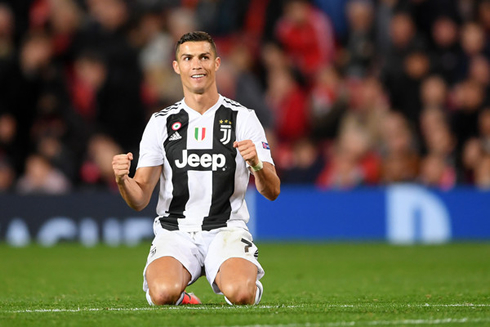 In the second half, Ronaldo would again have a good opportunity after a break from Juve, but his one-time shot just kept rising over De Gea's crossbar. Unfortunately, a lot of Juventus second-half woes continued and United dominated the second half keeping Juventus pinned near their own box. Their best chance came courtesy of another man playing against his former side. Paul Pogba's shot ricocheted off the post and off Szczęsny's head before going out of play in the 75th minute. However, Juventus have made a habit of winning games regardless of their play on the pitch and Chiellini and Bonucci work so well together it's a nightmare for opposing attackers, something United certainly learned today. Still, Allegri will not be happy with the product on the pitch in the second half, as it felt at times like Juventus were just inviting United to score. On another day vs a better and more clinical opponent, they may have paid for it. For the English side, the often-criticized Victor Lindelof was fantastic in defense for the home side, stopping Juve from putting the match beyond doubt on more than one occasion. Cristiano Ronaldo next game for Juventus is on October 27 of 2018 against Empoli. You can watch Empoli vs Juventus, PSG vs Napoli, Barcelona vs Inter Milan, Liverpool vs Red Star Belgrade, PSV vs Tottenham, and Borussia Dortmund vs Atletico Madrid, all matches provided from our sports streaming game pages.